Council of Europe Convention on the liability of hotel-keepers concerning the property of their guests was made in paris on December 17, 1962 and entered into force in Italy in 1979. According to the Convention and its annexes, the hotel-keeper is responsible for any damage, destruction or loss of proporty of hotel's guests, during their stay at the hotel. The Convention establishes that Contracting States may limit the responsibility of the hotel-keepers; generally, the liability should not exceed the equivalent of 3,000 Swiss francs. 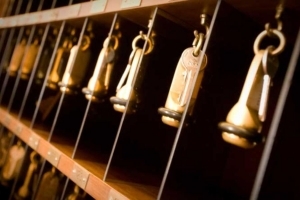 However, according to the Convention, the liability of the hotel-keeper is unlimited when the goods have been deposited with the hotel, or the damage, destruction or loss was caused by the negligence of the hotel-keeper, or when the he has refused to keep the guest's goods. In fact, the hotel-keeper may refuse to keep money or other property of the guests only if such goods are dangerous or, considering the size or the current conditions of the hotel, the goods have a value or size too high. The hotel-keeper will not be responsible if the damage, destruction or loss of property, is caused by the same guest, a cause of force majeure or by the nature of the property. The provisions of the Convention and its annexes don't apply to vehicles, any property left with a vehicle, or live animals. Not all members of the Council of Europe have ratified this Convention. For example, if it is allowed to request its application in Italy, France, Germany, Holland and Belgium, it will not be possible in Spain, Portugal, Switzerland, Greece and Russia, where it will be possible to claim under domestic law.